White House envoy castigates United Nations for refusing to condemn Hamas, points to terror group's support for Ofra shooting attack. White House special envoy Jason Greenblatt excoriated the United Nations on Monday for its failure to pass a resolution condemning the Hamas terror organization. 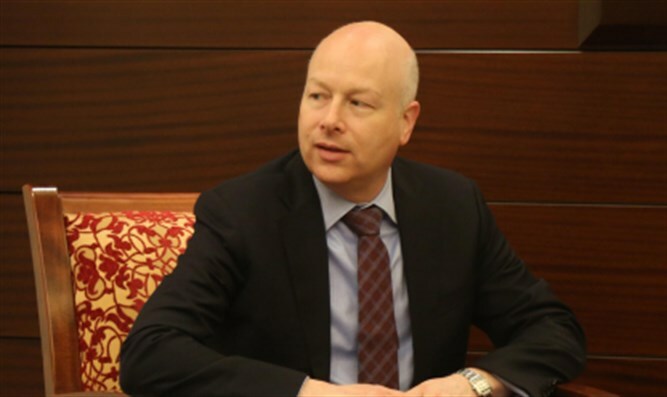 Writing on Twitter early Monday morning, Greenblatt slammed the UN for ‘defending’ the Gaza-based terror group, noting that Hamas had expressed its support for the drive-by shooting attack on Israeli civilians near Ofra, north of Jerusalem Sunday night. Hamas hailed the attack Sunday night, calling it a ‘blessed shooting’. "We appreciate the blessed shooting that proves that the resistance is present in the occupied West Bank despite the ongoing attempts to destroy it," Hamas said. Hamas later called the terror attack a “heroic shooting”, claiming that the targets were “Israeli occupation soldiers”, rather than Israeli civilians. Greenblatt responded to the Hamas statement early Monday morning, condemning the United Nations after the General Assembly failed to pass a US-backed resolution against Hamas attacks on Israel.